Ilayathalapathy's "Puli" has done exceedingly well on its second day at the box office. Ilayathalapathy Vijay's "Puli", which opened to mixed reviews from the audience and critics, has done well at the box office on its second day. "Puli" had suffered some losses on the opening day due to the delay in release over financial issues. 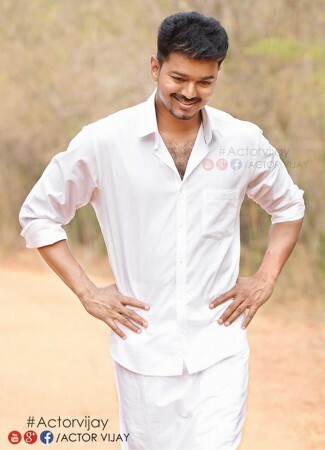 The early estimates from the trade says that "Puli" has earned about Rs 7.50 crore from 400+ centres in Tamil Nadu. It means the movie has failed to perform better than its first day where it had raked in Rs 10.75 crore with a net business of Rs 8.60 crore. The two-day business stands at Rs 18.25. It has done well in the US, UK, France and Malaysia and the two day collection from the overseas centres is approximately Rs 9 crore.However, these are the early estimates and the exact figures are yet to be out. Meanwhile, the Telugu version has not been released due to some legal issues. As a result, the movie suffered some major losses. The collection made by the Hindi version is not revealed yet. The Vijay starrer fantasy-adventure movie had landed in financial issues in the last-minute of its release, leading to cancellation of early morning and follow up shows. As a result, it could not post a big total on the first day.